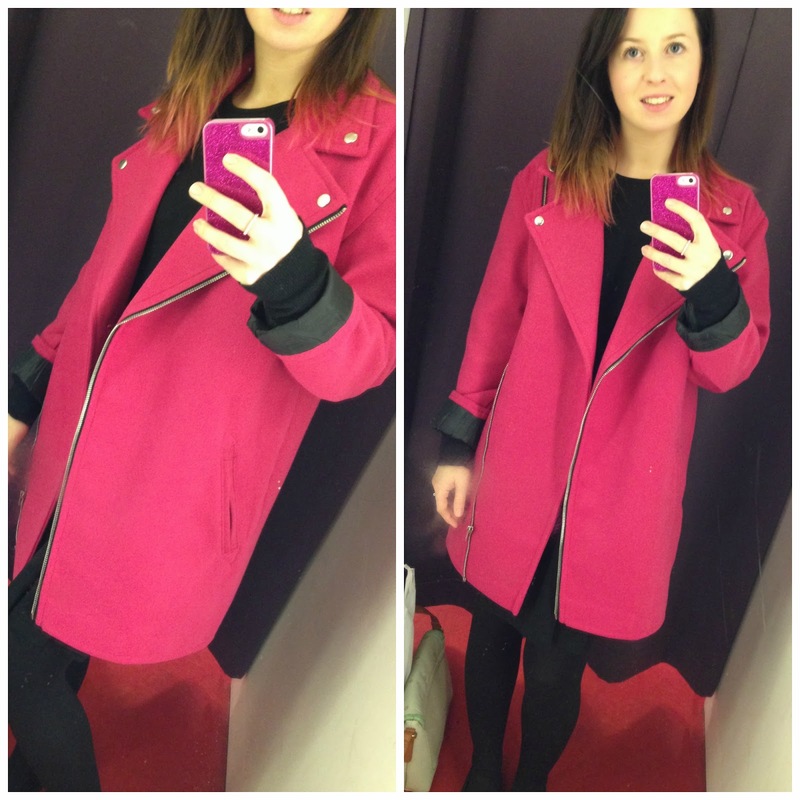 I've been wanting a pink coat since they started coming into shops late summer time. I think most bloggers have been waiting for THE pink coat to arrive in Primark but I still haven't spotted it and as it's getting colder times were getting desperate. I do have a winter coat for casual wear that is super warm, but it's not very pretty so I wanted something a little more girly to start the winter months. I spotted this coat a few weeks ago with my friend, I tried it on and thought it looked a bit silly so never picked it up again. However I was shopping in Liverpool last week and spotted it had been reduced to £15 and they had a size 6. I tried it on and the rest is history. I know the colour and style won't be to everyone's taste but I love it, it's perfectly oversized to fit a cosy jumper under too. P.S For those that were asking how the Bleach London (full post here) hair dye washes out - this is pink hair after wash number 3. Love it! Can't believe you paid £15 for it what an absolute bargain. 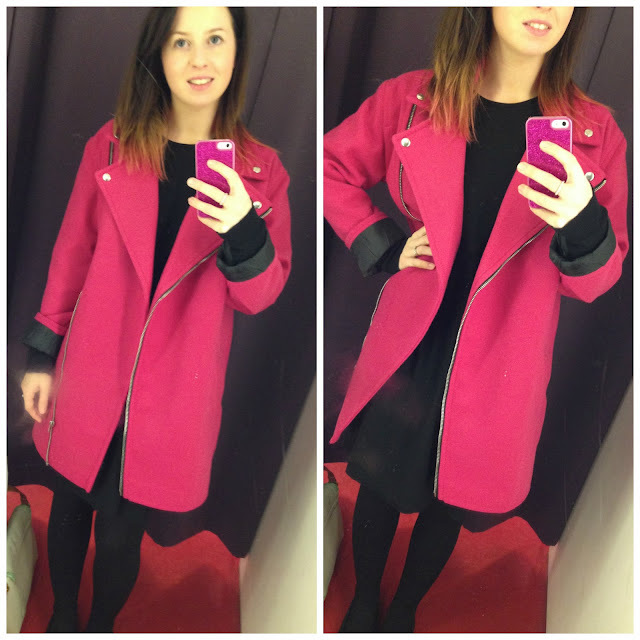 I can't believe that this is £15, its such great value~ Primark is so good this year for winter coats :) The oversized look is really in fashion these days! Thank you for sharing~ Have a lovely day! This coat is super cute! I can't believe it was only £15! I need a trip to Liverpool primark - I never go!